You are here: Home / Is a Lean-to conservatory a good idea? Conservatory Designs – What Are the Options? 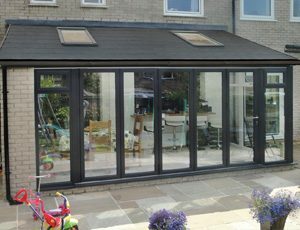 The conservatory can be a precious addition to your home, however deciding on what to choose can pose one of the biggest problems for potential conservatory owners. With numerous designs out there, it can often be hard to take a pick. Here are a few of the most popular. P Shaped Victorian This style is very traditional and offers a great amount of conservatory space if you have the room. The style is actually based on two designs and sees the modern rectangular style (the stem of the ‘P’) added to the Victorian facet bay window (the rounded end of the ‘P’). Victorian Five Sided This original shape is the perfect conservatory and was based on the orangeries of the 17th and 18th centuries used to grow plants and fruits. The multi-faceted views from the conservatory are its distinctive selling point. French doors and some wooden blinds to create that classic and relaxed feel. Edwardian Conservatories These classic conservatories are a great design for larger family homes and look spectacular when added to both modern and older homes. Usually square or rectangular in shape, these conservatories are great for making the most of the floor space, which can be a priority for many home owners. There are a number of different styles of Edwardian conservatories, including ‘gable fronted’ and ‘hipped back’. Consider the room you have to play with before choosing, though these conservatories can make the most of a limited ground area. Gull Wing This is a variation on the lean-to, is rectangular in shape, but the two corners face away from the building it’s attached to, resulting in quite a distinctive shape. The gull wing is often a little bigger than the traditional lean-to and so fits in with a medium or large garden. We’ve only hit on the tip of the iceberg with these styles and there are many more. Don’t be afraid to question the design consultants as this is a great way to get an idea for what’s perfect for your home.